Planned and unplanned production issues served to offset the underlying structural length in European ethylene supply in 2018. 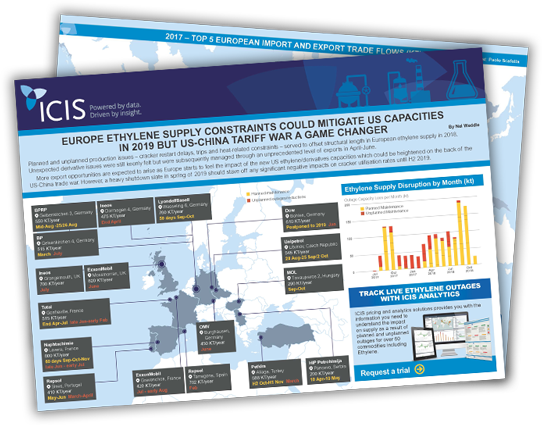 More export opportunities are expected to arise as Europe starts to feel the impact of the new US ethylene/derivatives capacities which could be heightened on the back of the US-China trade war. However, a heavy shutdown slate in spring of 2019 should stave off any significant negative impacts such as a reduction in cracker utilisation rates, until H2 2019.